The Wall Street Journal confirmed this week the timing of an upcoming meeting between U.S. and EU officials regarding Google's search dominance. The source, an EU official according to The Wall Street Journal, said that Jon Leibowitz, chairman of the U.S. Federal Trade Commission (FTC), would be spending time with EU competition chief Joaquin Almunia on Monday to discuss their pending probes into Google's search activity. Both respective agencies are investigating allegations that Google broke anti-trust laws by using it's overwhelming market share in Internet search services to unlawfully promote its own products and negatively impact its competitors. The FTC was not able to confirm the existence or nature of the meeting, although Leibowitz is scheduled to be in Europe on Monday. Speculation surrounding the purported meeting suggests that the talk will be at least partly regarding the timing of the two investigations. The FTC is planning to decide its next move by the end of 2012, just weeks away. At earlier stages in the investigations, it appeared that the EU probes might produce usable evidence for the FTC. However, the EU official who spoke with The Wall Street Journal indicated that the EU investigation doesn't have as ambitious a deadline, and may well extend into next year before transitioning to a trial or conclusion. 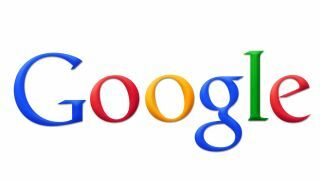 Adam Kovacevich, a Google spokesman, clarified the Mountain View-based company's stance on the matter saying, ""We continue to work cooperatively with the Federal Trade Commission and European Commission and are happy to answer any questions they may have."